Inter-family transfers in the event of a death. For example, this may happen when a parent passes away and their property needs to be transferred into the ownership of their surviving children. When a mortgage can no longer be paid by the original buyer and must be transferred to avoid foreclosure. This is a good way to keep a foreclosure from occurring and keep it from damaging your credit. No matter what reason you have for doing a deed transfer, the Law Offices of Diron Rutty, LLC can help process the conveyance. We can help you with the conveyancing from beginning to end, ensuring you have a smooth transfer and helping you overcome any legal hurdles that you might encounter. We’ll also help you determine whether or not a deed transfer is the right option for your situation or whether another form of conveyancing is best. Thanks to our years of experience in real estate law, we have the knowledge necessary to overcome obstacles and complete deed transfers and other real estate transactions in the shortest amount of time possible. What Is A Deed Transfer? A deed is the official legal document that transfers ownership between the buyer and the seller. This type of transaction typically avoids the closing process and provides a legal avenue for new ownership. Together with their real estate lawyer(s), the buyer and the seller create a legal description of the property that is signed by the seller under notary witness. A deed transfer can be a very quick process when all parties are in agreement and the title is free and clear of any liens or other legal hindrances. Through a warranty deed or a quitclaim deed, property ownership can be transferred. 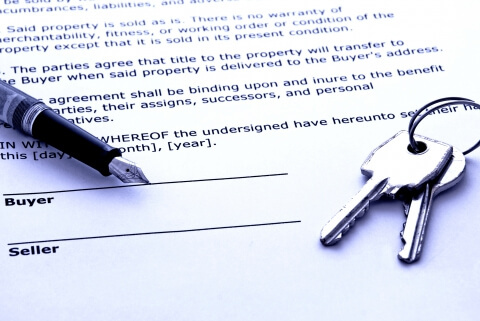 It’s important to fully understand the legal implications of doing a deed transfer, whether you are receiving the property or signing it away before you finalize the transaction. A real estate lawyer can explain the process and it’s consequences to you as well as help you ensure that the transaction is in your best interest. Many different life situations arise that warrant a property transfer through conveyancing. People who often find themselves dealing with deed transfers are those who have lost a family member who owned the home, a divorce, or the original owner can no longer pay the mortgage and wants to transfer ownership to avoid foreclosure. Many of the situations that necessitate a deed transfer are stressful; they often come out of major life events. 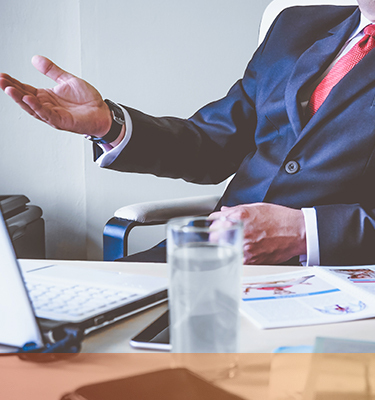 Hiring a real estate lawyer to work with you through the process can take some of the stress out of the situation by making sure you have knowledgeable representation on your side and that all matters are done in your best interests. It can help you avoid making a mistake that would have a huge negative impact on your future, including your ability to purchase another property at a later date. One area in which our real estate attorneys specialize is transferring deeds between family members in the case of life estate claims and distributions. For example, if your widowed mother lived alone and owned her house but then passed away, The Law Offices of Diron Rutty can help transfer the property deed to another family member who can either continue owning the home or move forward with a more typical real estate transaction to sell the home. This can pave the way for the family to settle the estate. It can also help ensure that a beloved family home stays within the family. In either case, it gives the family the benefit of being able to legally own the home until decisions can be made later on. Our team of attorneys and staff are passionate about preserving relationships within the confining boundaries of the law. Separating property rights doesn’t have to be complicated. We’ll make it as easy as possible for all parties involved while keeping out client’s interests at the forefront. We are happy to help you streamline the process with our experience in this complicated legal field. Our reasonable fees and convenient locations in The Bronx or Poughkeepsie make us available to meet our clients’ needs. If you are looking for a way to transfer ownership of a property quickly without going through the traditional closing process, talk to one of our real estate lawyers about conveyance. We’ll help you determine whether or not it’s the right option for you. You can reach out to our team for a free consultation by giving us a call or contacting us through our website.